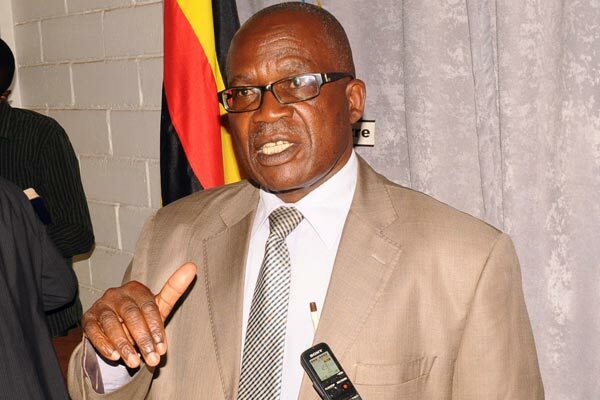 KAMPALA – The Minister of Public Service, Mr Muruli Mukasa, has assured employees affected by the proposed merging and scrapping of government agencies that their jobs are safe. Anxiety has already gripped affected employees, especially those running down their contracts. But Mr Mukasa said those whose contracts have expired will be renewed until the policy on how the mergers and scrapping will be effected has been developed. “There is no need to panic. Even the mergers are going to be done in a phased manner. We are still developing the policy and in any case, we are not after making people lose jobs but see how to improve their remuneration, efficiency by saving some money from the current wastage,” he said. adding that even for those whose contracts have expired, they will have them renewed. “We are the ones who give out the contracts, we shall issue them new contracts or renew the old ones,” he said. The minister was speaking as chief guest at the 31st annual convention of Ahmadiyya Muslim sect at their youth training center in Seeta, Mukono district. He also expressed concern that the virtues of humanity and voluntarism which the Muslim sect promote have vanished in public service because of corruption. “The religions we follow today are because of the Martyrs who sacrificed themselves for the sake of the religions we can worship today. Some young men had to go to the bush to bring the peace we are enjoying today,” he said. A Cabinet meeting chaired by President Museveni in September agreed to disband or merge dozens more agencies in an ongoing massive reorganisation of government and realignment of functions. The reforms, first raised by President Museveni, also aim to prevent duplication of roles and wastage of public resources. The biggest casualty is the Uganda National Roads Authority, whose functions will return to the Works and Transport ministry. The Uganda Road Fund and Transport Licensing Board will also return to the Works and Transport ministry. Others that have been disbanded are Uganda Registration Services Bureau, Uganda Electricity Generation Co Limited, Uganda Electricity Transmission Co Limited, Uganda Electricity Distribution Co Limited, and Rural Electrification Agency. Others are Lotteries and Gaming Regulatory Board, Departed Asians Properties Custodian Board, National Agricultural Advisory Services Organisation, Uganda Trypanosomiasis Control Council and Dairy Development Authority. Uganda Coffee Development Authority, Cotton Development Organisation, National Identification & Reg Authority NGO Bureau, National Information Technology Authority, Uganda Aids Commission and the National Drug Authority are also affected. Uganda Blood Transfusion Services, Uganda Industrial Research Institute, Uganda National Council for Science & Technology and Uganda Land Commission have also been disbanded. Only five have been retained and they are; Kampala Capital City Authority, Uganda Communication Commission, Uganda National Bureau of Standards, Uganda Bureau of Statistics and National Medical Stores.